Merry Christmas! 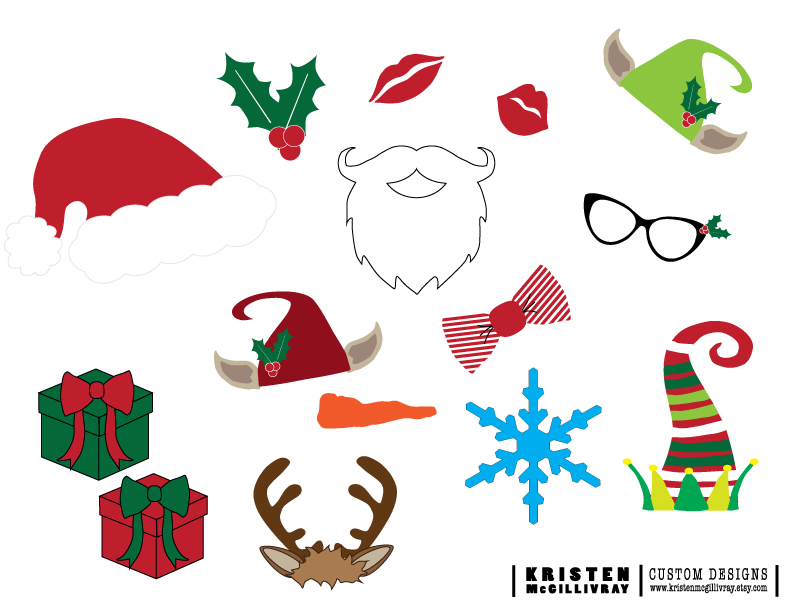 Here's a little something from Kristen McGillivray Designs: free Christmas Photobooth props! Just download the PDF file here, print on white cardstock, spray to foam board, cut out with an exacto knife, attach to wooden skewers and let the photo shennigans begin!